Last weekend I saw a commercial for the Audi e-tron. You know, that’s the name of all of Audi’s electrically powered cars. Would I ever buy one? Never ever in this lifetime. Am I against Audi? Is it a bad car? No, neither nor. 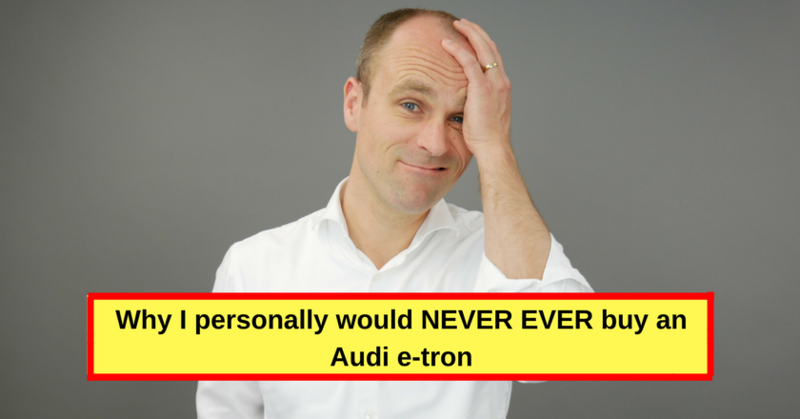 Audi is a great company with awesome products and we even have a company A3 g-tron (G as in gas) which our employees love dearly. All is good. But an e-tron? Never! The reason for that is simple: I speak French and we do have customers in France. And for them that wouldn’t work at all. I’ll tell you why: “L‘étron“ – spelled almost as the car –means… “turd” when translated. You don’t believe me? Look it up in your dictionary! Let’s be honest… how can you name a car “turd”?!? I definitely can’t show up at my customers with it. And we are not talking about a rural West-Greenlandic dialect or the language of a tribe from Papua New Guinea. French is the native language of several hundred people! There has to be someone in this organization who raises his/her hand and asks for additional suggestions! “Well, thank you. I’m fine. I’m very relaxed. My sh*t pile is parked outside. Your boss’s parking space was also available but then I saw there was a space available right outside.” And while saying that you smile politely. Honestly: your meeting is gone at that point. This customer won’t hire me for any additional jobs anymore. Never ever. The show is over.